For the last year, I have been deeply engaged in creating a series of services that help adult learners “make sense” out of the digital, socially networked world we (they) increasingly live in. For me, it has been thrilling to gain an initial understanding of what the next five years might hold for online, socially networked learning in all its combinations and permutations. 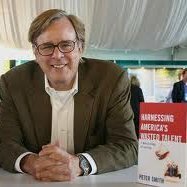 Put another way, as I think about my last book, Harnessing America’s Wasted Talent: A New Ecology of Learning, I have been immersed in that new ecology real-time for the last 18-24 months. As a result, I have not been writing as much because I did not have a framework to understand what I was experiencing and what it was telling me. And, on a more personal level, stories about my own personal learning and reflections on turning points in my life. I will start this week with blogs about Open Education Week and the decision by the American Council of Education (ACE) to recommend three undergraduate credits for Kaplan University’s free, online learning recognition course, “Documenting Your Experiences for College” credit, an exciting new course helps adult learners complete college on their terms. I hope you will jump into these discussions with both feet.